It’s great work reaching out to know how to write an argumentative essay and reducing stigma and myths about arguments. Knowledge is power, learn how to argue in a written way. A good introduction in an argumentative essay acts as a good entry for statements just like in a trial of a courtroom. The main adjustment is made while putting the issue at hand with a good background, and putting forth the main argument; all in a logical, intellectual and persuasive way. This is a perfect solution to convince someone of an idea or opinion in one argumentative solution. A lot of research is to be made to go through the simple lines of sentences and also related facts to make the argument more convincing to the audiences. The process of writing an argumentative essay can be quite a task, it is known for its lengthy process and lengthy writing pattern. An argumentative essay is a type of writing which mainly deals with the views of the writer and attempts to prove a point on the same. The writer has to struggle to convince others with opposing beliefs. An argumentative essay must have some vital components to convey its strong points. The essay is written with varieties of components, the main being the arguments with lots of evidence attached with the paragraph. The argumentative essay is one big story with actual reports in it. The struggle is to show two opposing sites of a continuous issue. In simpler words, the topic has to be a debatable one. The Introduction must hold sentences that catch the readers eye until the conclusion. To be unique and stand out from the crowd, you have to make the introduction very attractive and full of potential. To continue one’s interest, always add up a small story or a quote or a surprising statistic. For example, if you take the topic of tobacco which itself has a strong core with beliefs and disbelief, you can argue that smoking should be banned from all public places, this is a good statistic to start with an introduction by extracting a statistic from a substantiate sources: “Tobacco is responsible for more kills than five HIV/AIDS, with an estimation of five million people every year, according to the World Health Organization.” This strategy grabs the reader’s attention while introducing the topic of the essay. This portion of the essay can give you the entire idea of the whole essay. Therefore, it must be effective to read with convenient points to the readers and logical to understand. Try not to use new information into the conclusion; and utilize only the known information available in the body. Restate and evaluate with your research about why the topic is a different one and important put in an essay, try reviewing the main points and review your thesis back and forth. Why The five-paragraph essay for ? The essay is made to have a five paragraph structure, not any common essay with two arguments supporting our view and one against. The topic chosen for the purpose needs to be attractive in the eyes of readers. The sentences must be very hefty and genuine. Once the topic has been decided, the type of the argument is developed surrounding the paragraph. The meaning of using a five-paragraph structure as the layout of the essay with three arguments stuffed inside is for a well-constructed thesis statement. A five-part argumentative essay is relatively a short essay for an argumentative form, so you must get to the point quickly and gain your readers’ interest right from the start. This is by no means the only method or formula for writing such essays. There is another method with a six-paragraph structure. But the five paragraph design also know as a hamburger essay. This is made up of a vivid introduction, the main body which holds the paragraph and a nice and attractive conclusion. It is important to analyze the question and plan our essay accordingly. Three evident body paragraphs that may include the main discussion for support and indifferent opposing views, and a striking conclusion to end the views. This is the most common method for writing an argumentative essay is the five-paragraph approach. The main portion of the argument of the essay needs to contain claims that are supportive of the statement as well as disprove the same as mentioned above, you need to mention the proves you have collected following the arguments. This section happens to be the most creative, as it will engage the readers more after the introduction as they can use a lot of thought processes with the reader. Why argumentative essays are longer? When you start with the topic, you must always remember that any complex issue and its detailed research calls for complex and detailed essays. The argumentative essays requires for a number of research sources to prove the topic. An empirical research will most certainly be longer than five and six paragraphs. The essay will often be too busy, mainly discussing the context of surrounding the topic, along with the sources of information and their credibility to prove, as well as a number of different opinions to propose against the main argument on the issue before finally concluding the essay. Many of these factors will be determined by the type of the topic of the assignment. Why background is so important in an argumentative essay ? The importance of a strong background is not understood until you revise the complete paragraph and feel something might be missing. A background allows readers to comprehend the topic properly. For an instance, if you are arguing about a topic which has a long history then you require to attend to the history along and provide enough important information about how it started? When and what has led since then? Also, your opinion about it and some sources to prove the marks you are pointing. Let me explain with an example, if you proclaim that there should never be a military draft in the United States, then your must introduce why and how and from when it all started in the introduction as a background, this includes information about the history of the U.S. draft and the multiple events leading the system to be exterminated. The gist of the essay is gathered by an informative research, and some of the points have been added to it. There has to be a strong point on which the reader can potentially argue against. Therefore, the research topic can never be a fact, but facts related to the topic can be used as evidence. Along with your research, the essay must contain your view, not someone else.’ These components must include a compelling topic, a balanced assessment, strong evidence, right documentation, with a persuasive language. The presence of more statistics and evidence makes the essay power-full. A lot of work is required in this section because of a great variety of researches. A good introduction should have some impact and not be describing arguments or providing analysis in the starting of the essay, that belongs in the body of the essay in middle paragraphs. Your introduction should be an introducible one with a core of the background, or with a quotation, or maybe a rhetorical question and must set a point for your view, rather than laying out evidence to support it with a long paragraph. As your intro is a road map for the rest of the essay, you must never be to straight and announce what and how you will be arguing and point out your views unambiguously. For example, “I am going to prove my point to you and on…” This is a type of poor statement and never be made in an essay, this sets back a negative sign for the readers. Also, try to avoid emotional language that can sound irrational with a topic of a strong background. Never counterfeit evidence and never use untrustworthy sources for evidence, and be sure to always cite your sources. It should never include any personal experience which ultimately can cloud the judgment and can ruin the essay. A personal experience is not an element that strengthens an argumentative essay but weakens it. Instead, the Government resources and scientific studies are a good source of content. That has a valuable asset and can be appreciated by the reader. Such topics are more valuable because of its ongoing status with the states and can attract a good audience, therefore use only incidental topics. The only care should be taken is to bid relevant data instead of a made one in an argumentative essay. There is a long history of confusions between an argumentative essay and the expository essay. The category is quite similar, but the argumentative essay differs from the expository essay in the amount of formulation, research and discovery. 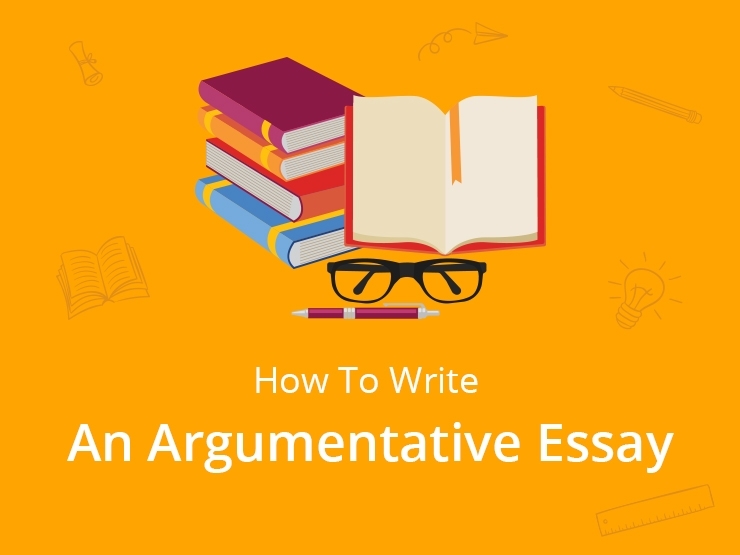 An argumentative essay is essential to studies and is commonly assigned as a pillar for the final project in academic years which involves writing or progressive composition, involving lengthy and detailed research. Whereas, an expository essay involve quiet less research and are much shorter in length when compared. Expository essays are mostly assigned for class tests. Argumentative essays are assignments that involve with a profound background, requiring enough amount of research put forward to the introduction in the first place. These require extensive research of literature of previously published materials. Students collect data through multiple interviews, surveys, observations, and experiments. Gathering ideas about the complete topic and learning about it, will empower to choose a position and support it with the evidence collected during the research. These detailed researches allow the student to be thorough with the topic and learn as much as they can till the end. These ultimately help procure a sound academic stability for the student. After writing the whole essay, you definitely have enough experience with the research but the subjects could end with a logical and strong conclusion to stop with your research. To create the great conclusion, add with a summary of the points that have been mentioned and try to prove in a gist of evidence. A summary itself means to be precise so, it is a short version of your entire essay. You must strongly remember to settle on the topic while concluding it. The complete section must be free of any overpowering language and must be easy to read and finish the whole essay. Power-full terms might create another lengthy section to read. There is enough chance to bore an audience with a long conclusion, and it is recommended to keep this section within a couple of paragraphs. There will always be audiences to contradict your view, and it is essential to take this into consideration. An example of an argumentative essay can prove to show the actual success of the same lies with convincing the audience to adopt your idea or thought process. A calm and composed approach with the hint of professionalism can help you through the entire process of writing an essay.